Being a kindergarten teacher, I am often a parents first school experience. This means they don't always understand that they need to check backpacks and folders for all of the notes and such from the school, the PTA and me. 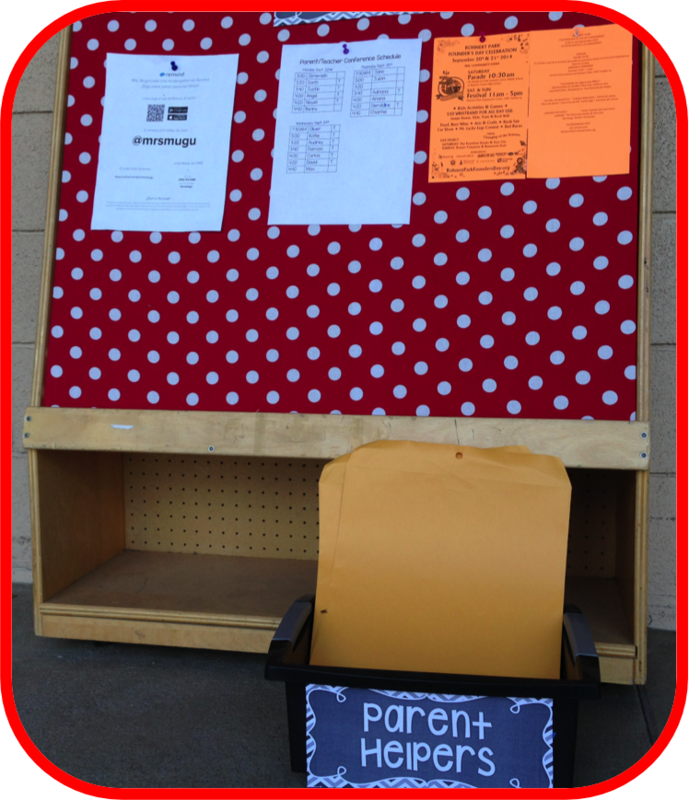 A few years ago I created a parent information center that sits outside my door. It originally was a rolling big book stand. 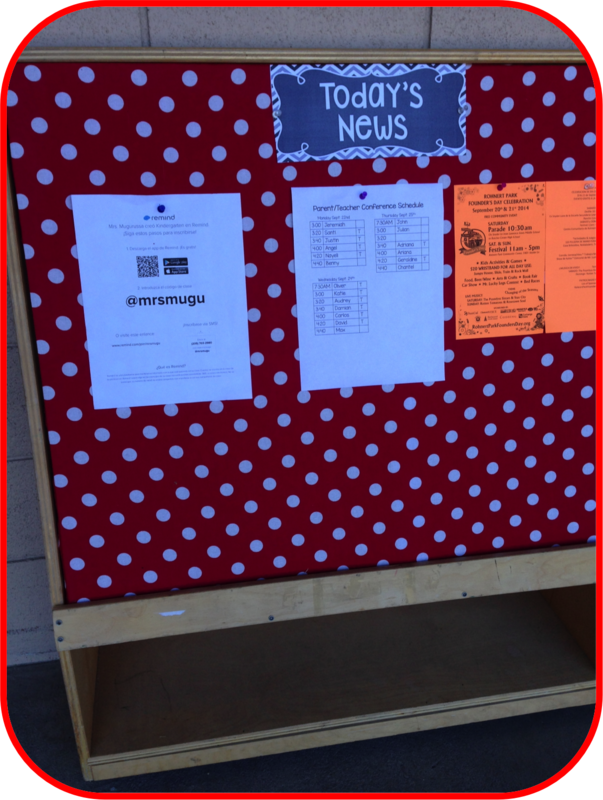 I added some foam core board covered in fabric and voila the parent board was created. Every morning before school, I roll it out of my hallway. Occasionally I remind parents in the morning or after school to read the board. 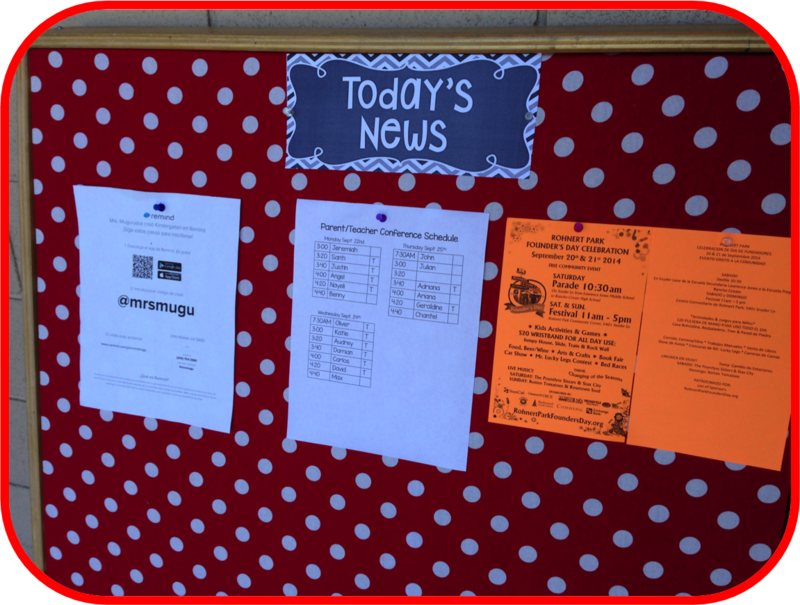 This has been a great way for me to get parents to sign-up for conferences, volunteer in the classroom or to sign-up for items on special days. On the day before book orders are due, I post a sign that reads Book Orders Due Tomorrow. Then the following day the sign reads Book Orders Due Today. I always leave a few extra order forms attached to the board. This almost always gets me a few extra orders. Do you have things that you need help with? Why not try this idea. 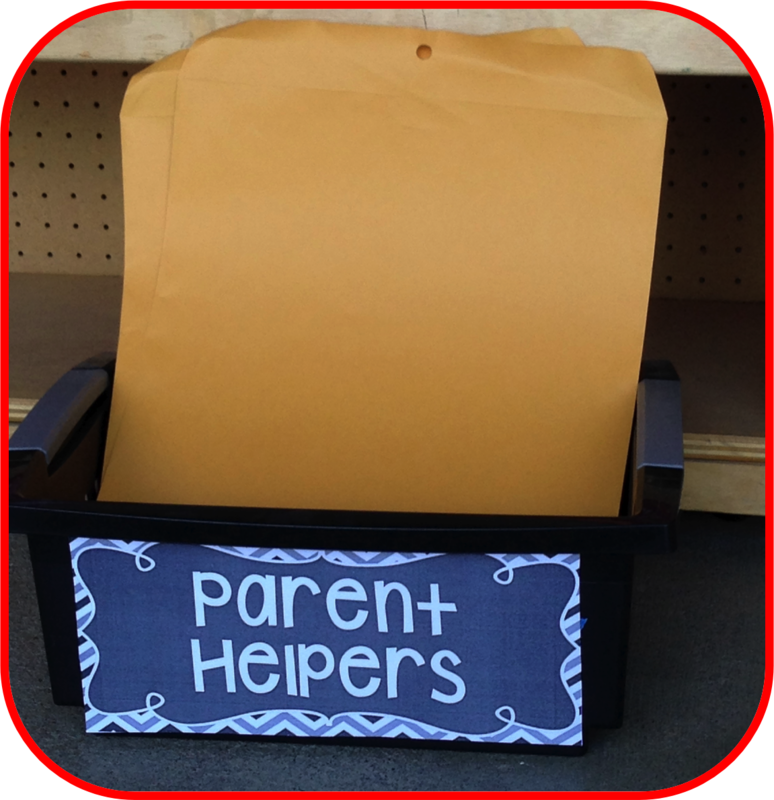 Anytime I have something that a parent can do for me at home, like cutting out laminated item or stapling books together, i place them in a manila envelope outside my door in this box. Parent know to take the envelopes home and turn thyme the following day. I always place a sample inside with directions and provide the necessary tools such as scissors or a stapler. In 20 years, I have never had any issues with parents not returning items. This is a great way to have those working parents who really want to help- really help. If you enjoyed these Bright Ideas. Be sure to follow me on Bloglovin, Facebook, and Instagram. Omigoodness! I love the Parent Helper envelopes. I always hear how they want to help, but rarely see it happen. This is a perfect way to encourage support from home and help the parents to feel involved. Also, I would hope the child whose parent cut out the new activity would be the EXPERT when they bring back the cut-out projects. Thanks for this simple BRAIN buster!